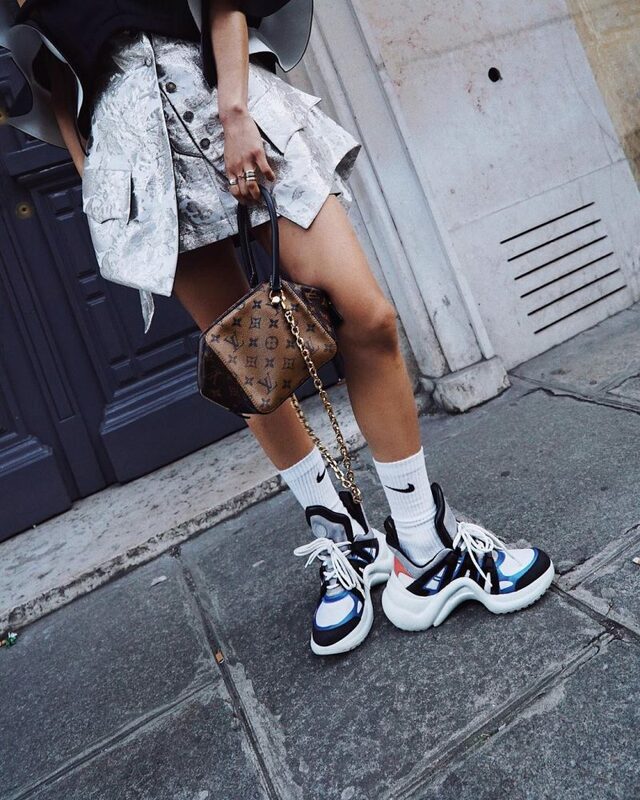 Dad sneakers are still in? | How do you match them to your outfit? You’ve seen these the past few months, but are they gonna stay much longer? Yes they are! Literally just got my third pair of dad sneakers and I’M IN LOVE WITH THEM! The perfect dad shoes should make your feet look small and your legs super long and thin, with the help of the right trousers. Dad sneakers are soooo bulky that sometimes you can pair them with skinny jeans, maybe add a little twist to it with leather skinnies? But that seems so basic no? As a wide-leg trousers addict, I love my pants super long and light, not only they make you look taller, but so much more chic! Another trend that we’re spotting are SOCKS! Colorful, fun socks paired with Dad shoes are to-die-for. Not only they make your outfit so much more interesting, it also shows a lot of your personality! Plus, it’s unique so you don’t have to worry about wearing the same shoes like others. 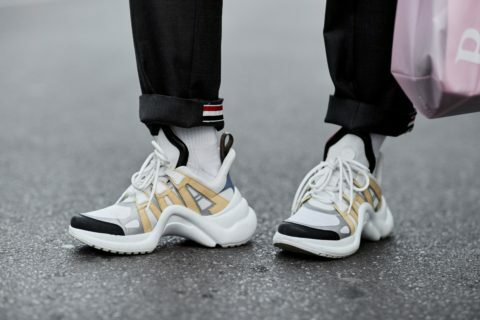 So many brands are now designing amazing footwear, started from the Ozweego from Adidas by Raf Simons, and now the Gucci Rhyton, Acne Studios, Balenciaga’s Triple S, and even Louis Vuitton’s Arclight all belong to the so-called ‘Dad’ shoes category. These used to be named as ugly and uncomfortable, how did the trend change? It used to be the time of clean white sneakers, where Golden Goose Deluxe Brand, Gucci, Adidas would produce clean cut, simple, footwear. But the trend seems to be in-your-face, bulky, and sometimes uncomfortable to wear nowadays. 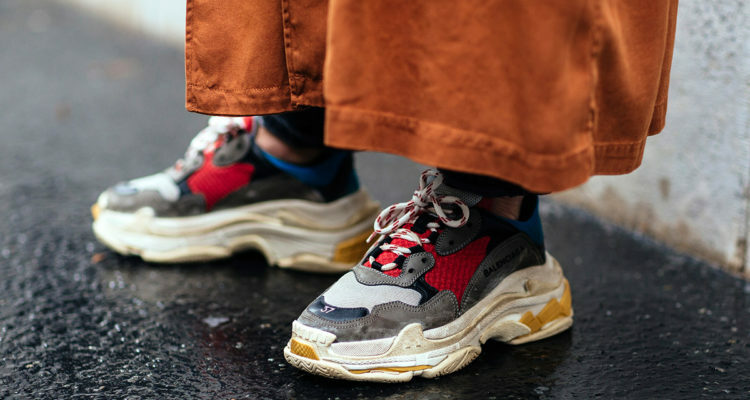 These ‘dad’ shoes are becoming like limited edition handbags that are always sold out, people are literally hunting them down. 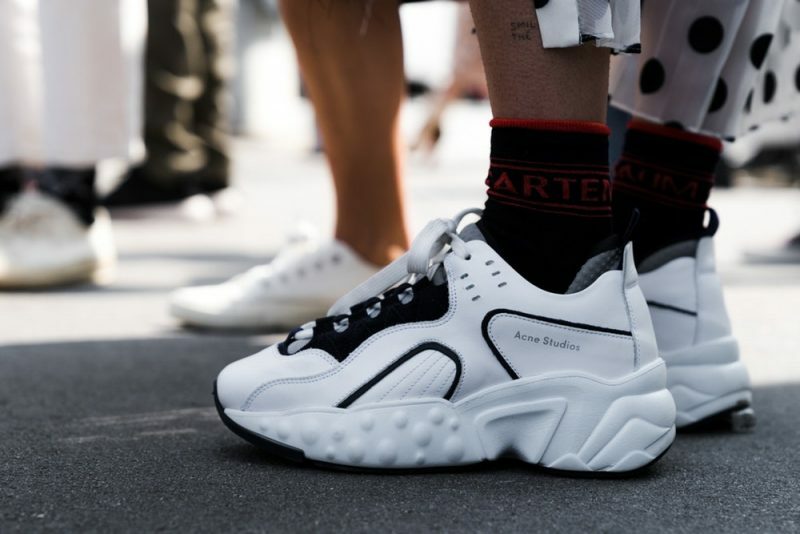 Quoting the Business of Fashion: Street culture has become such a strong element of what guys are buying that luxury fashion houses are obviously following. We do see a lot of streetwear in department stores nowadays. A major thanks to Supreme for introducing us that streetwear can be luxurious too through their collab with Louis Vuitton. You see a lot of brands making these footwear, but I don’t think it’s gonna stay long. Luxury is all about the brand’s image and culture, by making products that isn’t integral with the brand is not what I call luxury. 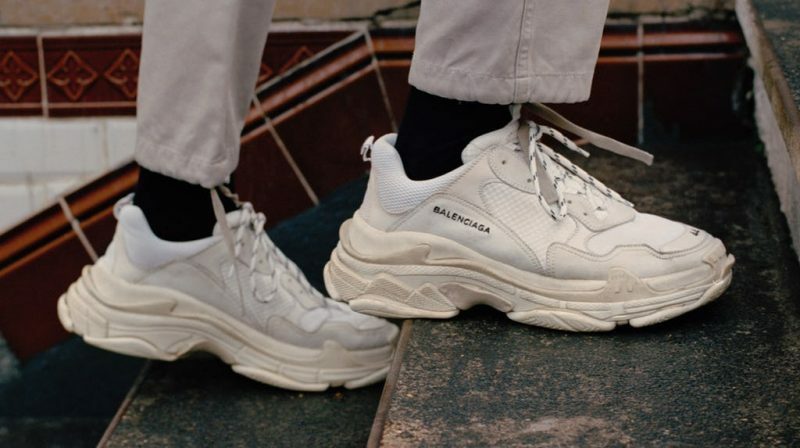 But for some successful brands like Balenciaga and Gucci, these new footwear can integrate and move forward with the brand, and this is what luxury is all about. They have done a remarkable job in rebranding these well-known brands, and I can’t wait to see what they will offer the next seasons!